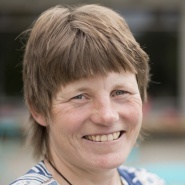 Associate Professor Siri Eriksen (Noragric) is one of the main authors on sub report II, on Impacts, adaptation and vulnerability, by the Intergovernmental Panel on Climate Change (IPCC). The report was presented at the Directorate of Environment this morning. On the launch, Dr. Eriksen presented the main findings of the report together with the other Norway-based main authors of sub report. The launch took place from 8:00 to 10:00 and is streamed live online here . Siri is the lead author on Chapter 13, "Poverty and Livelihood”, about how climate change and possible mitigation of climate change affects poverty and livelihoods. Dr. Andrei Marin, researcher at Noragric, is also a contributing author on the same chapter, with pastoralism as a specialty. Professor Asuncion Lera St. Clair, research director at Cicero and Noragric board member, has been lead author for sub report 2, contributing author on chapter 13 as well as member of the editorial board for the Assessment Report 5. 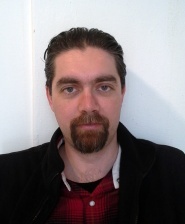 Dr Ståle Navrud from the NMBU School of Econommics and Business has also contributed to the sub report as a review editor, while Professor Arild Angelsen, from the same department, has contributed to sub report III which will be launched 13 April. On Monday, Eriksen talked about how both climate change and the measures taken in the face of them may have different effects on different groups, including strengthening or undermining their livelihoods strategies. An important issue in this context is whether climate change reinforces poverty. The chapter Siri and Andrei contributed to relates also to the poverty pattern that is changing and in particular that there are large groups of poor peolpe in non-poor countries. Siri Eriksen participating at the seminar 'Klimatilpasning og løsninger', arranged by Tekna Klima (Apr 8th).